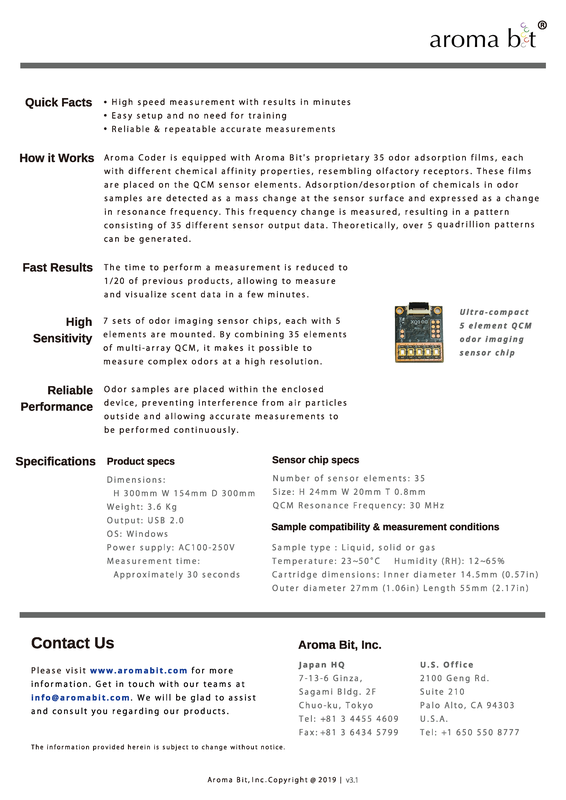 What is Aroma Coder [Aroma Coder – 35Q]? 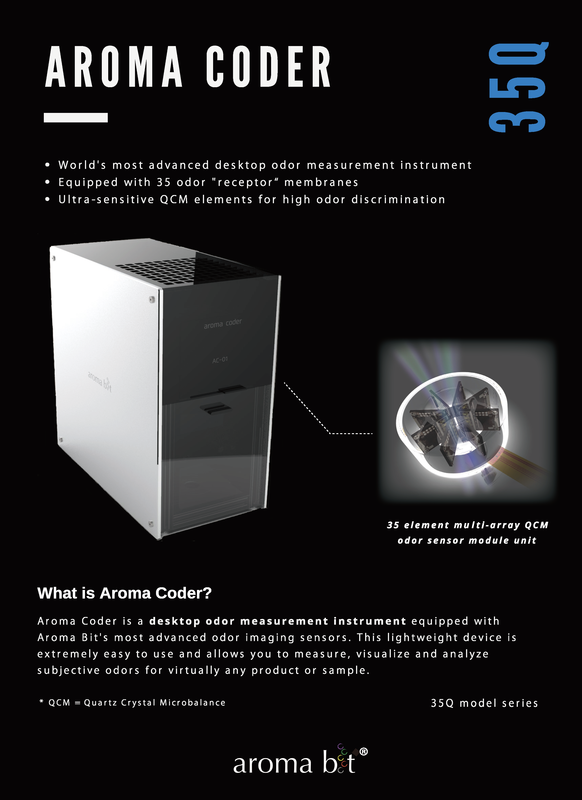 Aroma Coder is a desktop odor measurement instrument equipped with Aroma Bit’s most advanced odor imaging sensors. Aroma Coder is equipped with Aroma Bit’s proprietary 35 odor adsorption films, each with different chemical affinity properties, resembling olfactory receptors. These films are placed on the QCM sensor elements. Adsorption/desorption of chemicals in odor samples are detected as a mass change at the sensor surface and expressed as a change in resonance frequency. This frequency change is measured, resulting in a pattern consisting of 35 different sensor output data. Theoretically, over 5 quadrillion patterns can be generated.